Easy Homemade Soups To Keep You Warm This Winter! The 2005-2006 National Health and Nutrition Examination Survey (NHANES) revealed that at least half of the U.S. population had inadequate intakes of magnesium. Loss of appetite, nausea, fatigue — the initial symptoms of magnesium deficiency. While initial symptoms can be minor, a magnesium deficiency may eventually cause noticeable problems with your muscle and nerve function such as tingling, cramping, numbness and contractions. In its worst stages, magnesium deficiency could even cause seizures, personality changes, or abnormal heart rhythms. Since only 1% of magnesium is found in your blood (most is in your bones or organs), a simple needle prick often won’t help determine your levels. Instead, diagnoses are usually made through process of elimination and by examining a patient’s lifestyle. The main culprits seem to be soda, caffeinated beverages and alcohol. Consuming too much alcohol can interfere with your body’s absorption of vitamin D, which aids magnesium absorption. 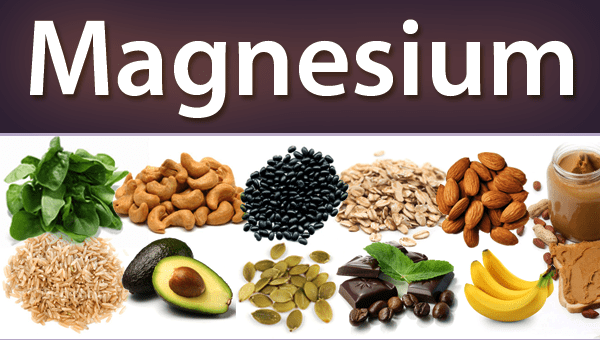 Food sources are the safest to consume of magnesium rather than supplementation. Focus on consuming leafy greens — one cup of cooked spinach provides 157 milligrams of magnesium. Legumes are a solid choice too, with a cup of cooked white beans coming in at 113 milligrams of the nutrient. And if you’re a fan of squash and pumpkin seeds, one cup packs in a whopping 649 milligrams. Other great options are nuts, including almonds and cashews, most types of fish, and whole grains.